Leopard Print Infinity Scarves As Low As $7.99 + Free Prime Shipping! Home / Deals / Online Deals / Amazon Deals / Leopard Print Infinity Scarves As Low As $7.99! Here is a great deal on some awesome Leopard Print Infinity Scarves in a few fun colors for as low as $7.99 with FREE Prime Shipping! If you don’t have Prime, you can sign up for a Free 30 Day Trial of Amazon Prime here. Right now you can get most of them for $10.99 or less and some prints are as low as $7.99! These go fast so make sure you order it right away! 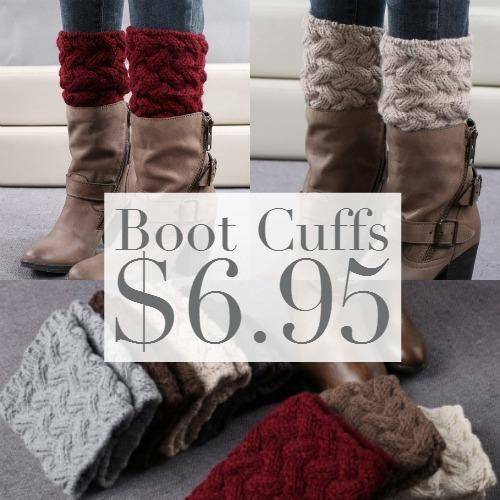 And check out the Cable Knit Boot Cuffs for only $6.95!